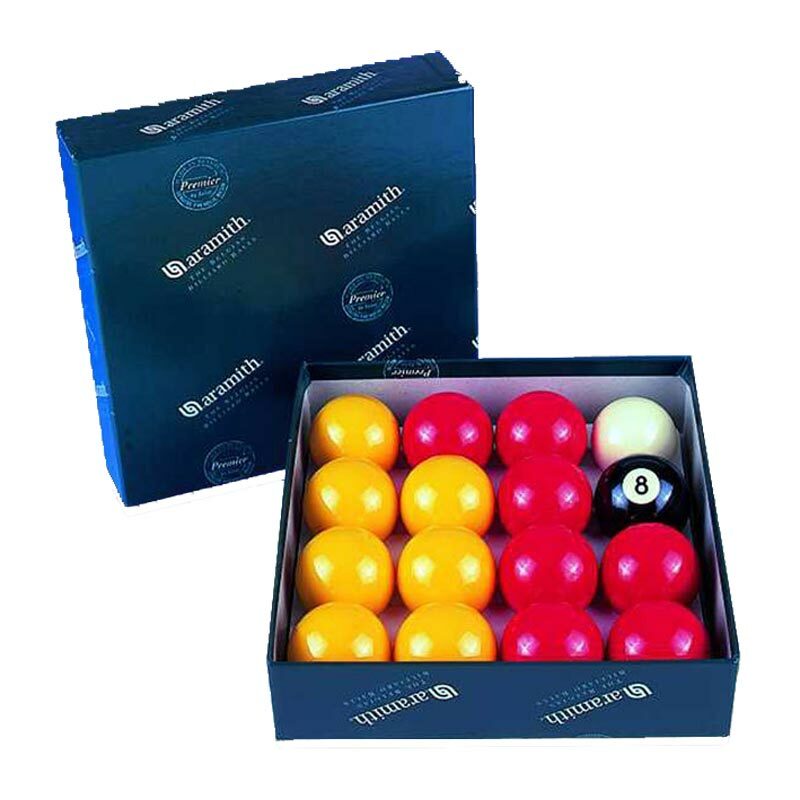 All Sizes 2" 1 7/8"
The red and yellow Aramith Pool Balls are used in most commercial situations. Almost all commercial tables use 2" balls and if they are coin operated require a slightly smaller, 1 7/8", white cue ball. The cue ball is smaller so that it will pass through coin operated pool tables and be returned after potting. All balls are made in Belgium. All balls are quality phenolic, premier quality, highly finished balls. Available in 2" or 1 7/8".